You may think that building a “quadcopter” requires an engineering degree but that is not the case. 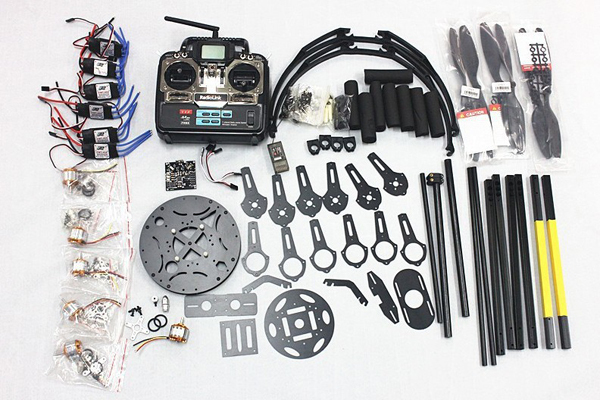 However, when it comes to building a quadcopter successfully, most important steps are for you to: know what parts you need, ensure that you understand their functions, and then finally place your order. 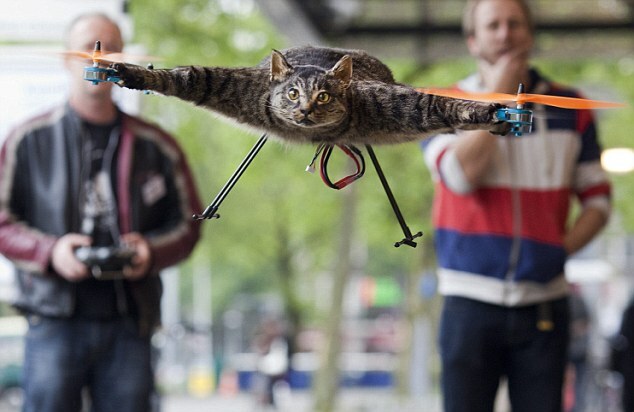 Of course this will take some time, especially if you don’t know much about drones. You may find yourself scouring the internet for days and having to deal with spam websites and misleading blogs and forum discussions. We have decided to save you all the trouble and so we’ve arranged a comprehensive list below to help you succeed in building your first DIY quadcopter. Let’s take a look. 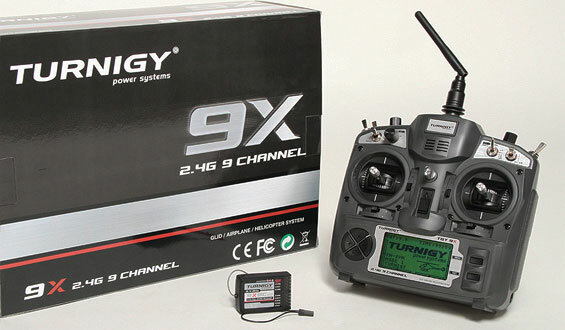 The transmitter and receiver give you the ability to directly control the aircraft itself. The amount of channels present directly relates to the amount of functions that the controlled aircraft can perform. 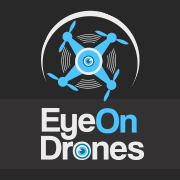 For most basic quadcopters, four channels is the bare minimum that is recommended – throttle, pitch, yaw, and roll. A proper transmitter will not only give you disturbance free control, it will also give you quick reaction times as well. An 8 channel receiver is recommended for both novice and pros alike. 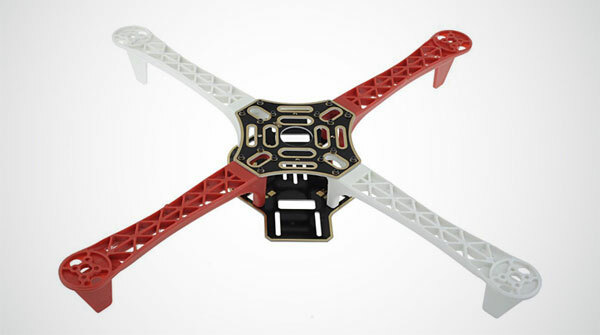 A well-built frame is just as essential as all other electrical components of the quadcopter; it serves as the foundation that all of the parts will be mounted on. The best frames should not only be crafted from high quality materials, they should also be impressively designed as well. The arms should be made from highly durable materials, like polyamide nylon, while the central body can be made from materials like high grade glass fiber. Since it is functioning as the foundation for your entire build, it should obviously be well crafted; however, this does not mean that you have to sacrifice aesthetics. The best frames should be easy to assemble (usually with the usage of bolts). Some frames will also have the added function of helping to maintain proper orientation, usually through the attachment of an implement on the frame (colored ball, etc.). Whether it is an octocopter or a fixed wing device, your flight controller should be able to effectively fly your machine. The functions should also be complemented by corresponding software that your flight controller utilizes to not only monitor, but also configure the device. In this case, for your personal functionality, the software does not need to be supported across all major platforms (Windows, Linux, and Mac); just the platform that you will be using for configuration. However, more compatibility is always a plus. The power distribution board is great for streamlining you power distribution in an efficient manner. The total number of power input contact points, as well as power output contact points, helps to determine the overall efficiency of your power distribution board. To ensure optimum efficiency and longevity, you should utilize a power distribution board that has its PCB contact points plated with gold or another conductive material. All you will need to do is have your power leads properly soldered to the necessary contact points and you’re good to go. The ESC that you choose should provide a comprehensive range of functions. It should utilize a strong, high quality processor that gives you the ability accurately control the speed of their device, achieve fast refresh rates, and set specifications that match up various requirements. 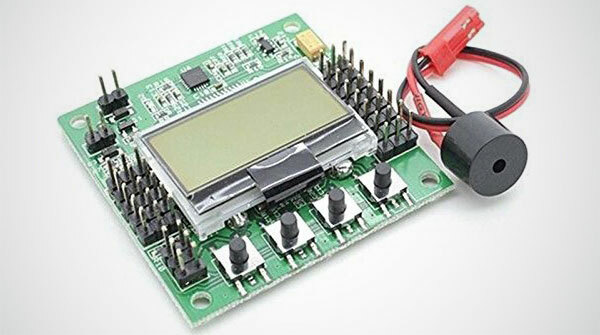 Low voltage protection is also a function that any high quality ESC should provide. This refers to the ability to set specific values that act as a threshold of low voltage protection. 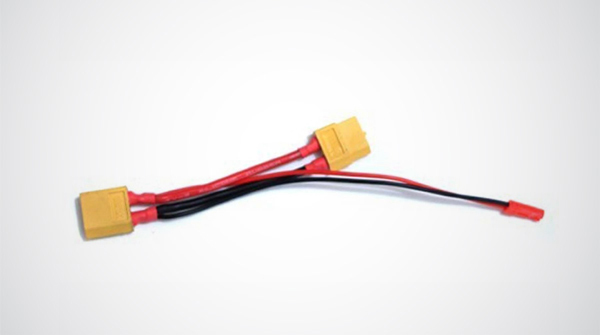 Overheating is a real issue that quite a few ESCs suffer from. As a result of this, another function that a good ESC will provide is a temperature management system. This can be something as simple as a setting that reduces the power output when the temperature exceeds a certain value. The motor is obviously going to be what serves the function of providing you with a successful lift off. Basic math dictates that you need to have at least double the amount of thrust compared to the overall weight of your quad build. 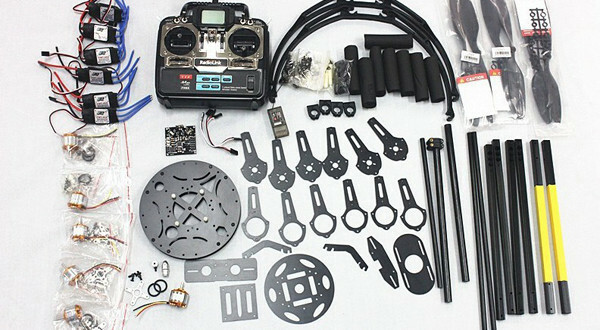 For multi-rotor frame users, specific, motors should be utilized to maintain proper balance and power efficiency. Factors that you should keep an eye on are: bearings, balance stator, and windings. Props function as fittings that should be placed on motors to facilitate the lift of the quadcopter. Matching spacer rings are required to secure props onto the corresponding motors. The props that you choose should be just flexible enough to function properly and withstand the wear and tear of constant use, while still remaining durable. 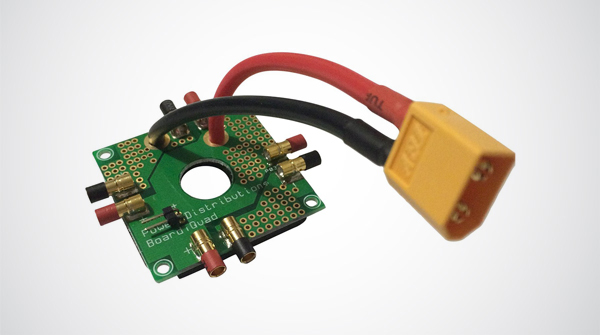 Prop adapters serve a simple, yet extremely important, function on your quadcopter. 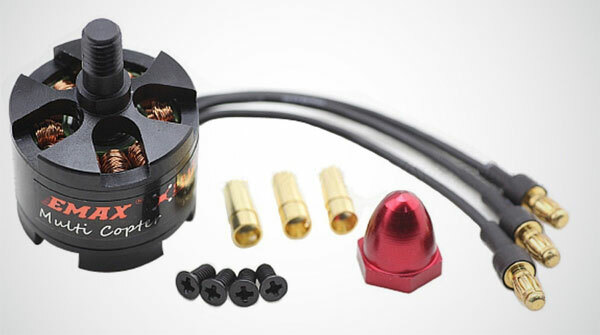 Prop adapters will function as your connectors between the motors and their corresponding props. 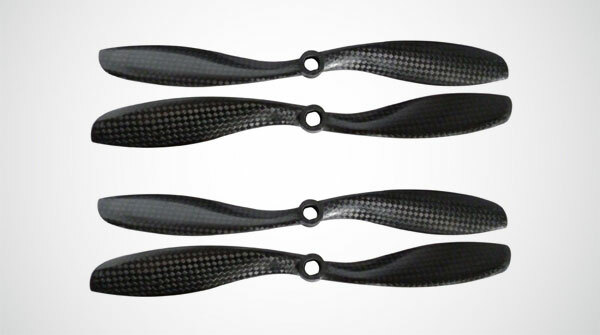 Ideally you should choose prop adapters that have been crafted specifically with balance, durability, and strength in mind. 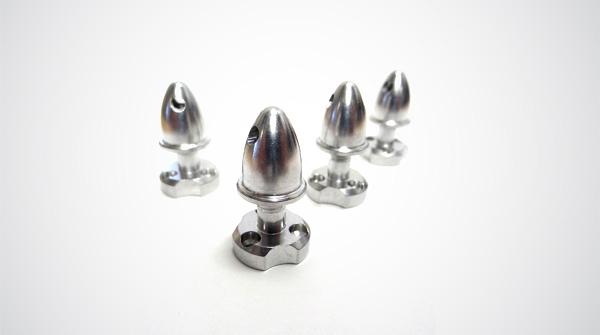 Your prop adapters should be able to endure long term usage. 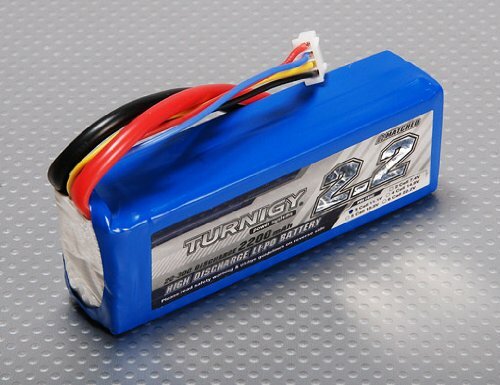 The battery of your quadcopter gives you the ability to supply and maintain high current loads to your device. To do this, it should ideally have heavy duty discharge leads and matched cells. The connectors of the battery that you choose are important. As a result, it is recommended that you choose one that is highly conductive. Batteries that have connectors that are gold plated serve this function well. 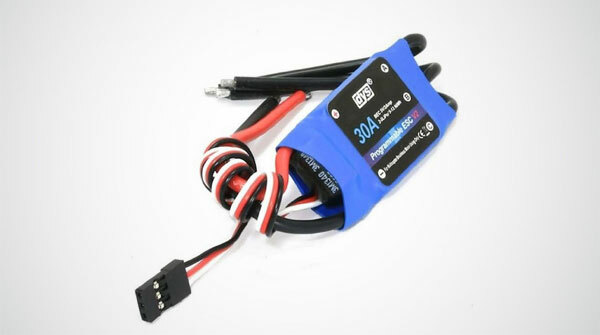 Your quadcopter’s charger should, first and foremost, function as your means of ensuring that only the most efficient charge and balance of your batteries is achieved. 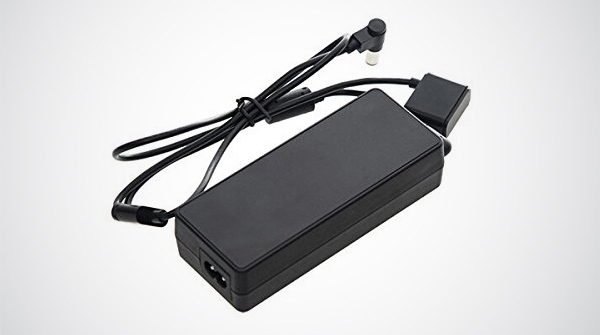 The charger should also have corresponding input and output wires. It is commonplace to find chargers that have an interface for users so that they can observe real time updates while charging is taking place. The function of an adapter is exactly what the name denotes. It “adapts” any battery that is being used to the plug that is being utilized. However, adapters may often add extra unwanted resistance to your quadcopter, caution is advised when using them. 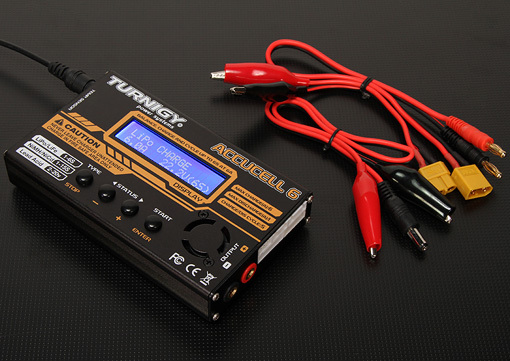 The power supply for your quadcopter is responsible for supplying the device with the necessary energy. Getting the right charger is extremely important and it should not be overlooked. If a charger with the wrong power input or power output is used then your quadcopter may not function at all, or worse, it may malfunction during operation. In order to ensure extended functionality your charger should be able to sustain long term usage. All things considered, a basic build should cost around $200+/- for all of the listed parts. If this seems a bit too pricey then certain parts, such as the frame or the props, can be replaced with cheaper alternatives. Keep in mind that cheaper alternatives will most likely be of a lower quality. Conversely, if you have a bit more money to spend then you can search for more pricey alternatives that may be somewhat better. And of course you can always buy a quadcopter kit or buy a cheap beginners drones if you feel you’re not up to the task of building your own. Your first quadcopter does not need to be flashy. Instead you should first and foremost aim for a simple functional design that you can easily understand and use to get your feet wet.